by Aceeri, Eyal Kalderon, Coraline Sherratt, Dzmitry Malyshau, Simon Rönnberg, Thomas Schaller, mechaxl, Zakarum, Jacob Kiesel and over 100 contributors. Co-owned by amethyst. Amethyst is based over a very powerful parallel ECS called Specs. This allows games built with Amethyst to maximize the available processing power to run as smoothly and as quickly as possible, without the headaches of multi-threaded programming. By design, the Amethyst engine encourages you to write clean and reusable code for your behaviours and data structures. This allows engine users to easily share useful components, thus reducing development time and cost. Using the ECS architecture, the code of games can be cleanly divided between data and behaviour, making it easy to understand what is going on, even if the game is running on a massive 64-core processor. While the engine can be hard to use at times, we made a lot of documentation that will teach you everything you need to use Amethyst comfortably. If you don't understand a part of the documentation, please let us know. Join us on Discord or open an issue; we are always happy to help! All available examples are listed under the examples directory. There are also many open source games and prototypes being made with Amethyst. See our showcase in the regularly updated Games Made With Amethyst thread on the community forum for some good sources of inspiration. If you are compiling on Linux, make sure to install the dependencies below. See your distribution-specific installation process for the equivalent dependencies. Please note that you need to have a functional graphics driver installed. If you get a panic about the renderer unable to create the context when trying to run an example, a faulty driver installation could be the issue. and navigate to http://localhost:3000. The text itself can be found in book/html/index.html. For more information, please see the mdBook project. Amethyst supports only the latest stable release of Rust. Use the nightly and beta channels with this project at your own risk. If you have a question, please check out the FAQ before asking. Chances are, the solution to your problem is already present there. If you still need help, feel free to ask on our Discord server. Other places you might want to check out are r/rust_gamedev and the #rust-gamedev IRC. Note: Any interaction with the Amethyst project is subject to our Code of Conduct. 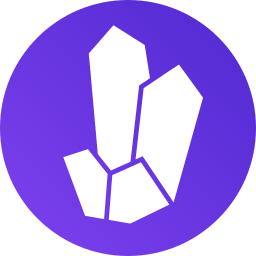 Amethyst is a community-based project that welcomes contributions from anyone. If you're interested in helping out, please read the contribution guidelines before getting started. We have a good first issue category that groups all issues or feature requests that can be made without having an extensive knowledge of Rust or Amethyst. Working on those issues is a good, if not the best, way to learn. If you think you are not ready to code yet, you can still contribute by reviewing code written by other members of the community. Code reviews ensure that code merged into Amethyst is of the highest quality as possible. Pull requests that are available for reviews can be found here. If for some reason we don't have any open PRs in need of a review nor any good first issues (that would be a good thing), feel free to consult our issue tracker.